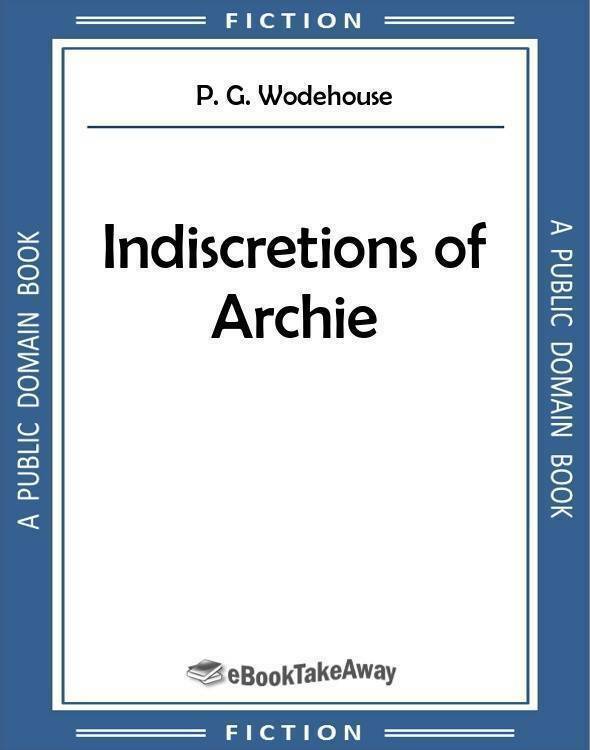 Archibald "Archie" Moffam has recently married Lucille Brewster and gets into no end of trouble when he tries to impress her art-collecting, hotel-owning millionaire father Daniel Brewster. "I say, laddie!" said Archie. "Sir?" replied the desk-clerk alertly. All the employes of the Hotel Cosmopolis were alert. It was one of the things on which Mr. Daniel Brewster, the proprietor, insisted. And as he was always wandering about the lobby of the hotel keeping a personal eye on affairs, it was never safe to relax. "Is there anything I could do, sir?" Archie looked at him doubtfully. "Well, as a matter of fact, my dear old desk-clerk," he said, "I want to kick up a fearful row, and it hardly seems fair to lug you into it. Why you, I mean to say? The blighter whose head I want on a charger is the bally manager." At this point a massive, grey-haired man, who had been standing close by, gazing on the lobby with an air of restrained severity, as if daring it to start anything, joined in the conversation. "I am the manager," he said. His eye was cold and hostile. Others, it seemed to say, might like Archie Moffam, but not he. Daniel Brewster was bristling for combat. What he had overheard had shocked him to the core of his being. The Hotel Cosmopolis was his own private, personal property, and the thing dearest to him in the world, after his daughter Lucille. He prided himself on the fact that his hotel was not like other New York hotels, which were run by impersonal companies and shareholders and boards of directors, and consequently lacked the paternal touch which made the Cosmopolis what it was. At other hotels things went wrong, and clients complained. At the Cosmopolis things never went wrong, because he was on the spot to see that they didn't, and as a result clients never complained. Yet here was this long, thin, string-bean of an Englishman actually registering annoyance and dissatisfaction before his very eyes. "What is your complaint?" he enquired frigidly. Archie attached himself to the top button of Mr. Brewster's coat, and was immediately dislodged by an irritable jerk of the other's substantial body. "Listen, old thing! I came over to this country to nose about in search of a job, because there doesn't seem what you might call a general demand for my services in England. Directly I was demobbed, the family started talking about the Land of Opportunity and shot me on to a liner. The idea was that I might get hold of something in America—"
He got hold of Mr. Brewster's coat-button, and was again shaken off. "Between ourselves, I've never done anything much in England, and I fancy the family were getting a bit fed. At any rate, they sent me over here—"
Mr. Brewster disentangled himself for the third time. "I would prefer to postpone the story of your life," he said coldly, "and be informed what is your specific complaint against the Hotel Cosmopolis." "Of course, yes. The jolly old hotel. I'm coming to that. Well, it was like this. A chappie on the boat told me that this was the best place to stop at in New York—"
"He was quite right," said Mr. Brewster.